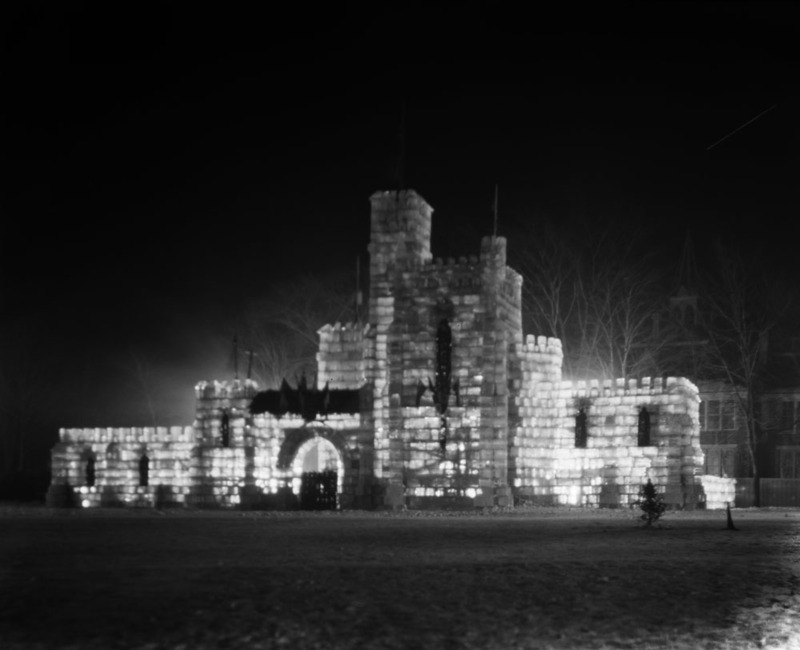 Every year, hundreds of thousands of visitors flock to Ottawa for the city’s annual Winterlude festival. 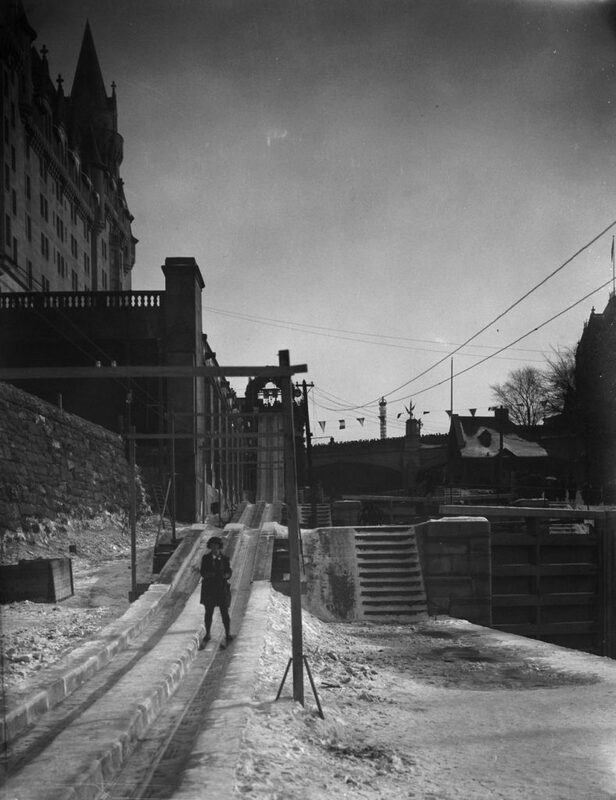 The two-week event celebrates the beauty of the season with events like ice-carving at Confederation Park, snow sledding in Gatineau’s Snowflake Kingdom and, of course, skating on the world’s largest skating rink, the Rideau Canal. 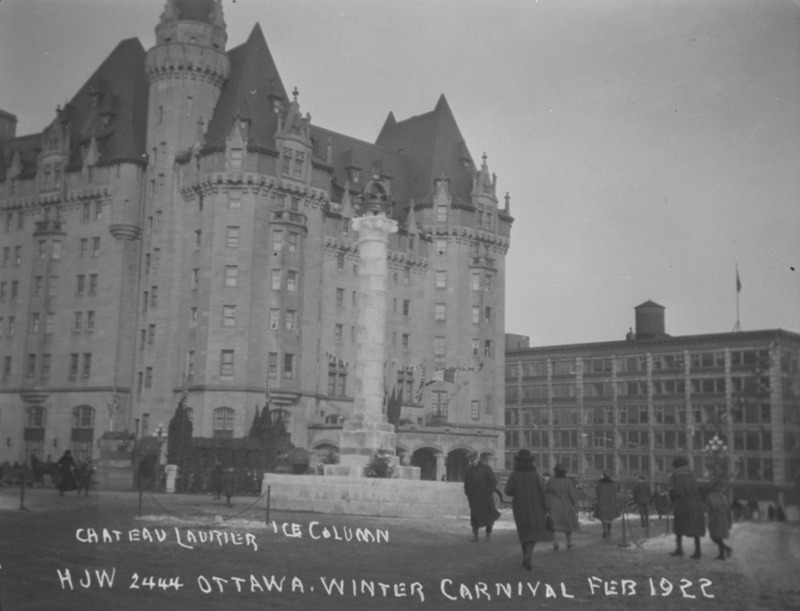 But well before Winterlude filled the streets of downtown Ottawa and Gatineau with wintertime revellers, the city was the host of the National Winter Carnival in 1922. 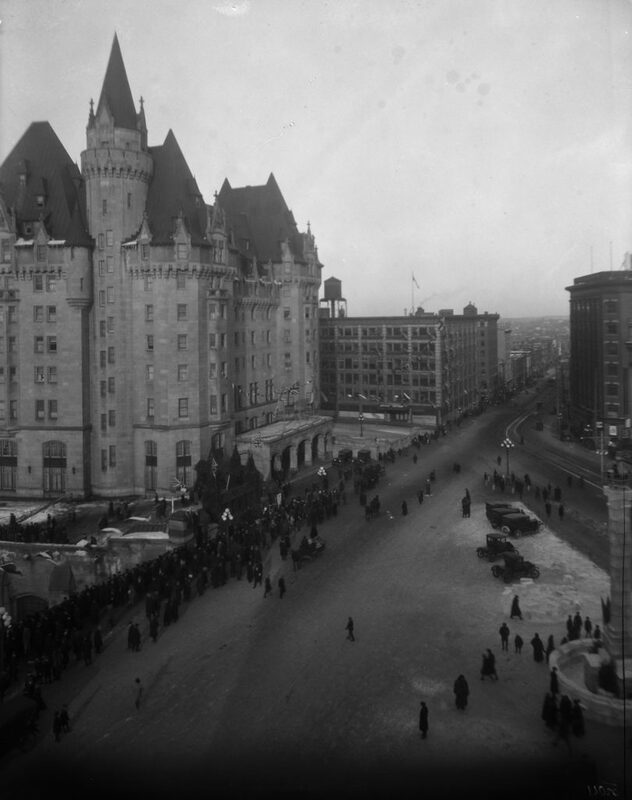 Described as “A Week Without Worry,” the carnival was a major success with tens of thousands in attendance. 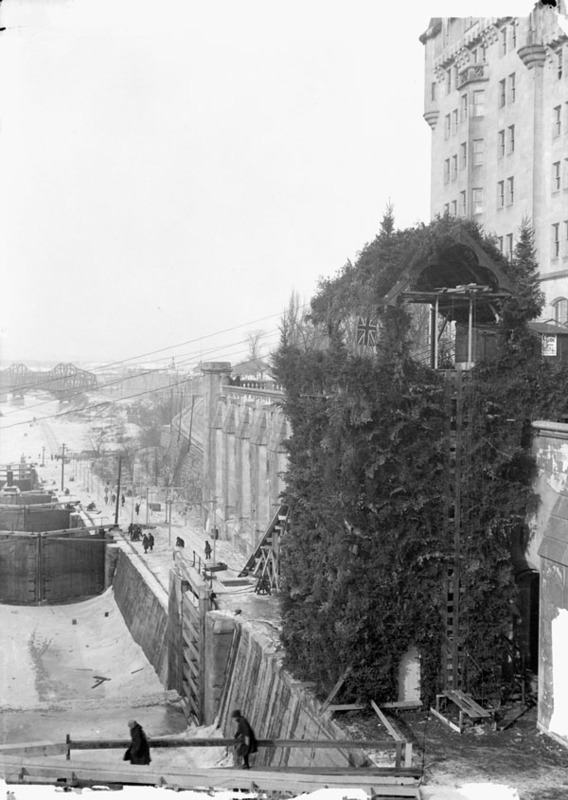 It featured unique attractions like a 22-metre ice castle and a giant ski and toboggan slide built on the side of the Château Laurier. 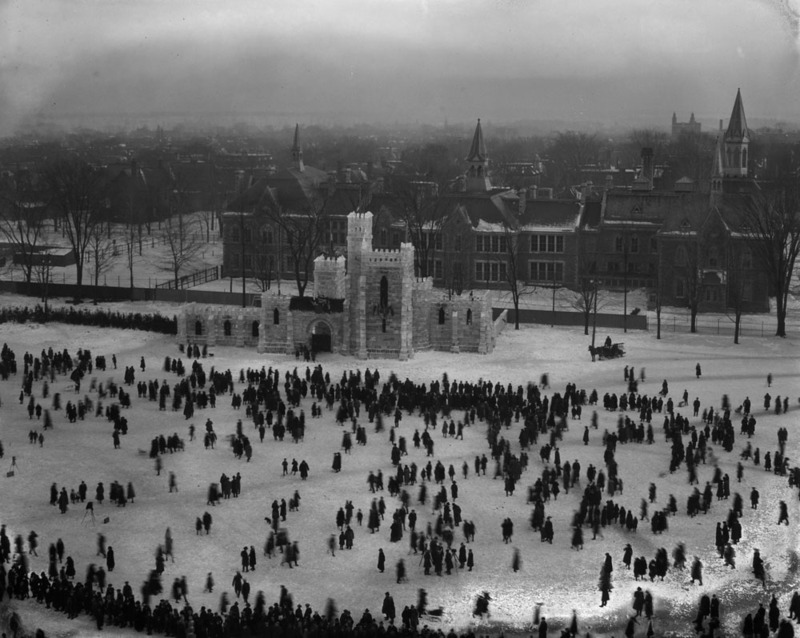 In anticipation of next month’s 40th edition of Winterlude, we’re taking a look back at the 1922 winter celebration with these photos from Library and Archives Canada. 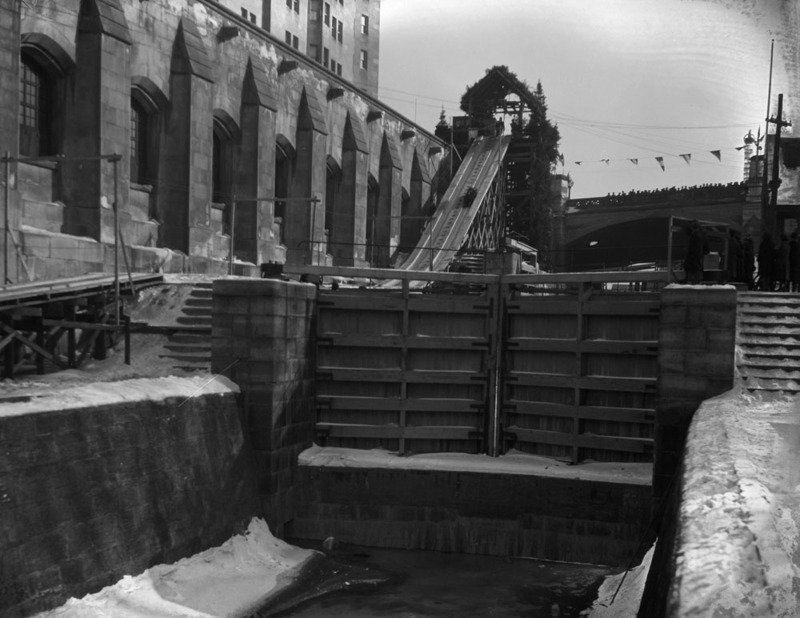 Visitors could ‘slide a mile for a dime’ on this giant ice slide. 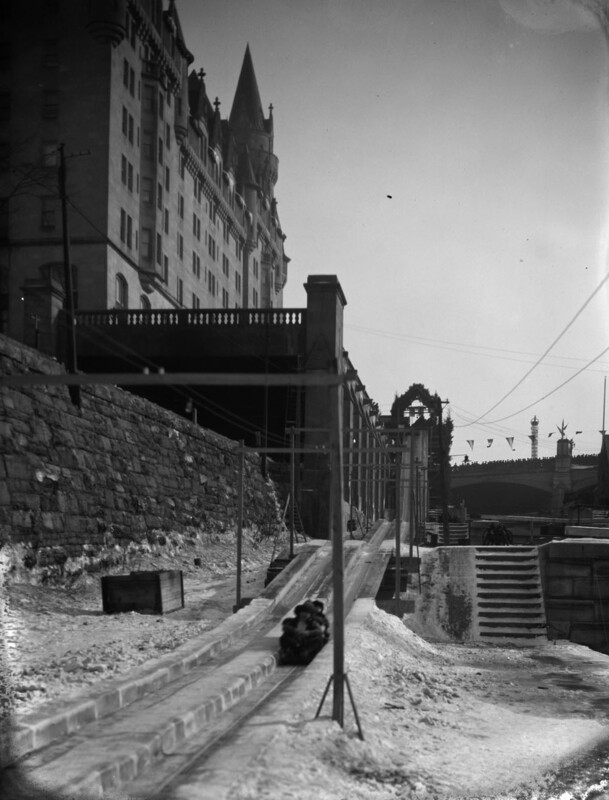 Riders propelled down towards the frozen Ottawa River at speeds of up to 100 kilometres per hour. The slide consisted of a 45-degree angle drop, followed by a series of rollercoaster-like dips. 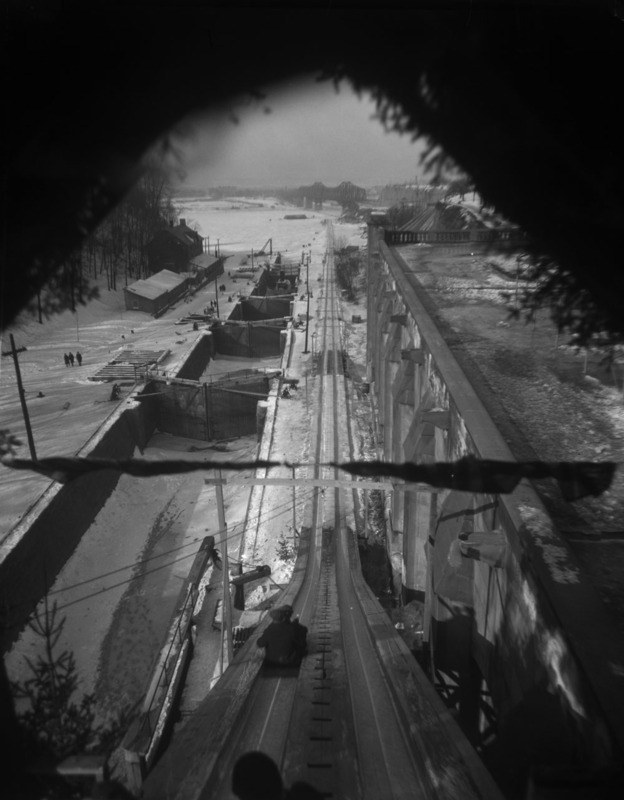 Daredevil ski jumpers were also on hand to entertain with daily demonstrations.